I must admit, I have a snakeskin infatuation. And this is coming from someone who HATES snakes. I mean I REALLY hate snakes. But something about the monotone combinations of the beige and black tones mixed together really intrigues me. You really can’t go wrong with neutrals, and thus snakeskin has fallen into that category for me. 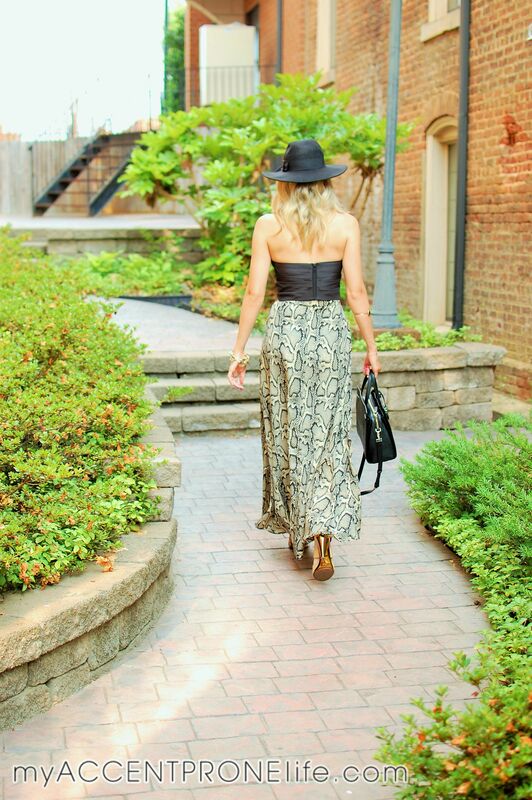 I first bought this maxi skirt (and it’s now on sale!) as a piece for a wedding ensemble I put together. For the wedding I wore the skirt with a different black tank that covered a little more skin, but I couldn’t resist this chic pleated crop top (which is now on sale too!). As you will soon find out, Rachel Zoe is my style icon. I absolutely adore her style. She is bohemian and chic all at the same time, which is my style to a T. Her influence is the reason I love this outfit so much. Flowy and glam; you can dress it up or down depending on if you put it with heels or flats. 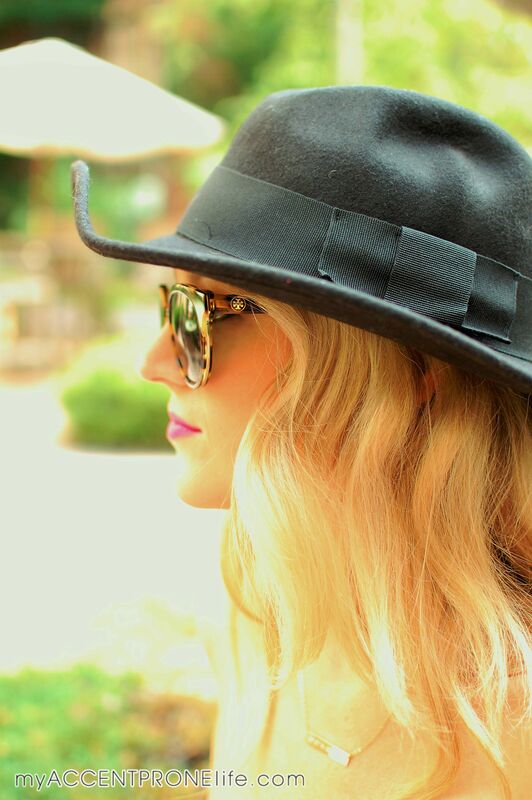 I have been wanting a wide brim hat and I found this awesome black one on one of my favorite affordable websites asos.com. I have been looking for a black structured bag that will go with everything. My sweet husband overheard me mentioning that, and surprised me with this Kate Spade bag for our 2 year wedding anniversary. 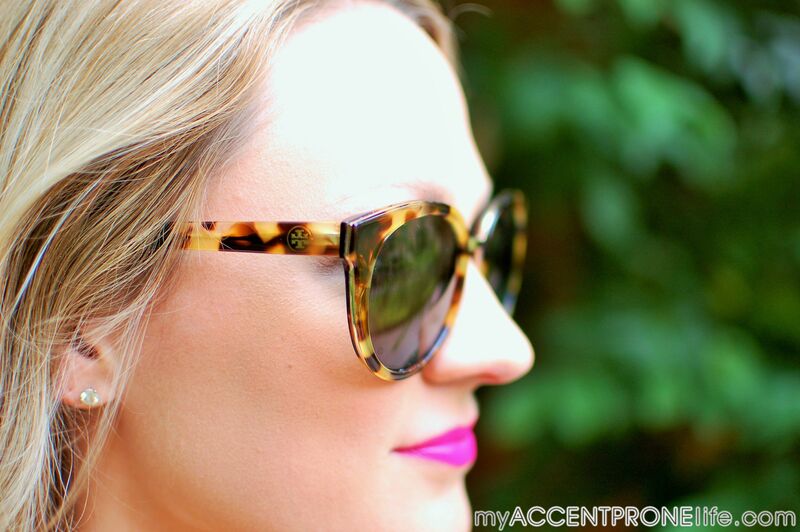 The beginning of summer called for some new shades, so I found these awesome tortoise Tory Burch Panama Sunglasses. And if I haven’t mentioned it yet, I have a lipstick addiction. This one is Nars Shiap. Accessories are what make an outfit, which is why I paired this look with some of my favorite go-to pieces, my Bourbon and Boweties bangles. You can layer them up and add as many different colors and stone varieties to your stack as you please. 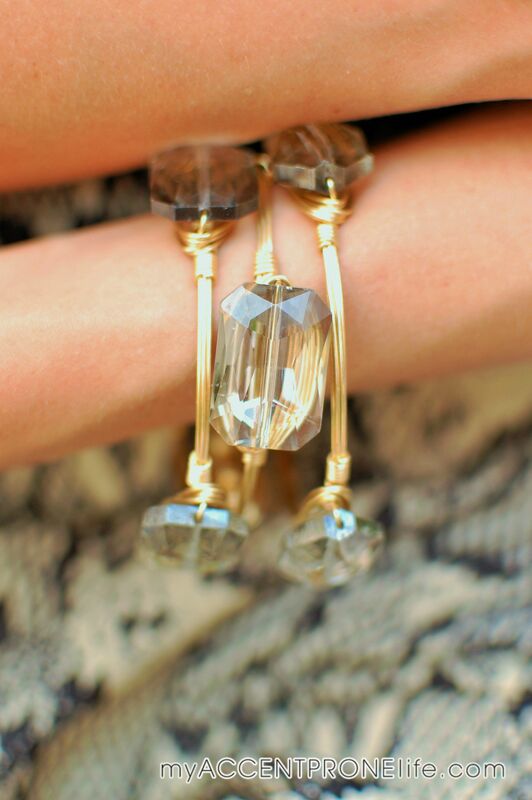 For this outfit I kept it simple with 3 of my favorite smoky quartz bangles, but I literally have a huge collection of these ready to mix and match with my wardrobe. We have a great selection of these available at Accent Prone. The necklace I chose is my Lat and Lo coordinates bar. It has the latitude and longitude of my hometown Kernersville, NC on it. 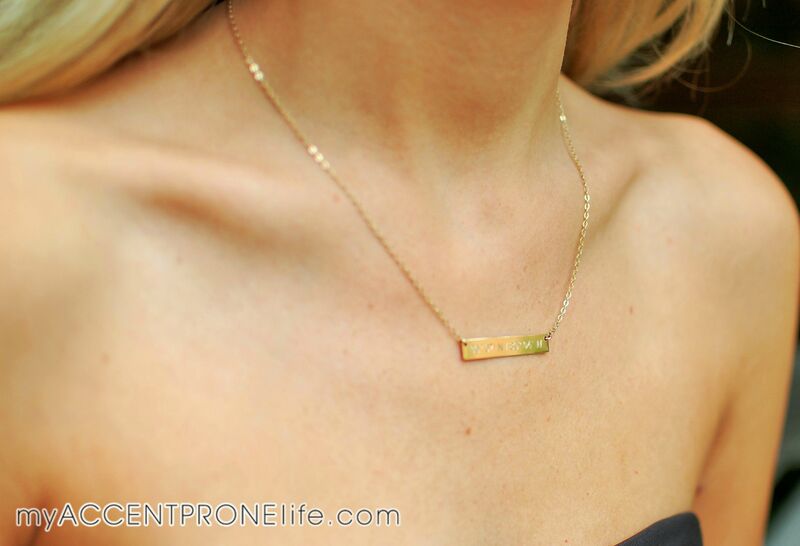 Not only are horizontal bar necklaces really in right now, but the geographical coordinates give it a special touch. 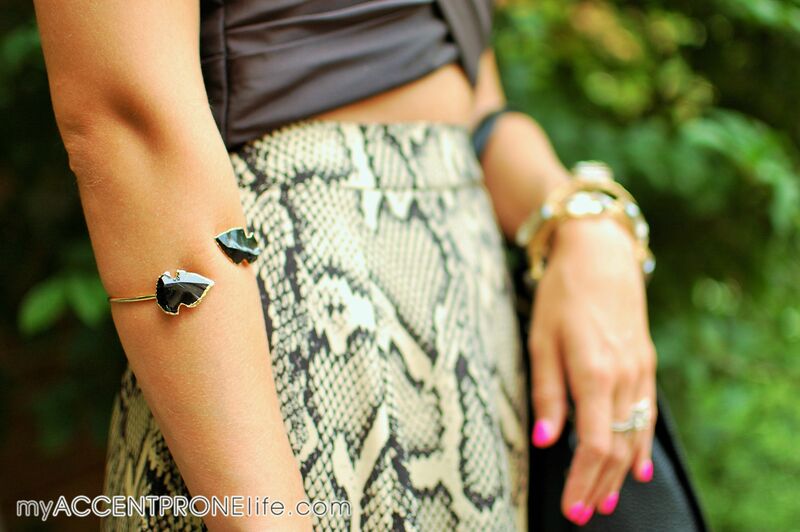 The black arrowhead upper arm cuff is currently one of my favorite accessories I have. Arrowheads are very trendy right now so if you don’t have any in your jewelry box then think about adding one! We have some great arrowhead pieces available at Accent Prone, ranging from necklaces, bangles, rings and cuffs. My Shoes are last season Michael Kors, but you can find similar ones here and here. Or, if you are looking for a great flat option, I am currently in love with these Rachel Zoe Sandals. Bourbon and Boweties bangles, Lat and Lo Coordinates Necklace and Arrowhead Cuff are all from my boutique, Accent Prone. Thanks for stopping by everyone! I hope you have a fabulous Monday and week ahead!